Precast Concrete Steps - Learn All About Precast Concrete Stairs Right Here. 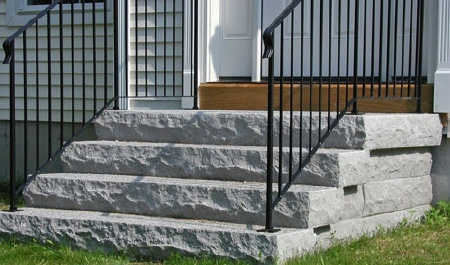 WHAT ARE PRECAST CONCRETE STEPS? Precast concrete steps are made out of concrete that's poured into a precast concrete mold that's shaped like a set of steps. After the concrete is hard, the mold is stripped off to reveal the precast steps. Building the precast steps is done by a manufacturer in a large shop. 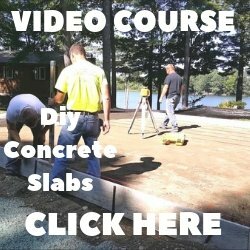 The concrete steps suppliers usually have a showroom where you can pick and choose the size and style of steps you want to purchase. Over the years precast steps have evolved from plain grey, simple textured, concrete steps to custom made, decorative, architecturally designed concrete steps that look like granite, stone, brick, wood and more. What I like about precast concrete steps. THE NATURAL LOOK - The Textured concrete molds combined with the colored concrete being used when building precast steps gives them such a natural look, it's very difficult to tell if the steps are concrete or real granite, fieldstone, or brick. THE MULTIPLE WIDTHS - The standard widths for precast stairs varies from 3 feet wide to 8 feet wide. Wider steps are possible but will depend on the concrete steps suppliers ability to custom make these larger precast steps. THE RISERS - Precast concrete stairs are made with risers either 7 or 7 1/2 inches high. Knowing this makes it easier to determine the overall size of the stairs. The risers can also have a different look than the concrete stair treads and platform. STAIR TREADS & PLATFORM - The stair treads and platform on most precast concrete steps usually have a natural concrete look. 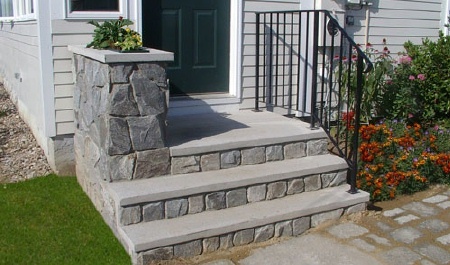 The precast granite steps have a stair tread and platform that look like natural granite. The standard stair tread sizes are either 10 or 12 inches deep and the top platforms are either 14 or 42 inches deep, but vary depending on the precast step manufacturer. ADDING A PLANTER - Planters are separate precast concrete castings that are bolted to the cast concrete steps. The Precast steps must be 6 feet wide to accommodate a planter. Precast planters add to the overall look of the precast steps and compliment the landscape as well. Installation is usually done by the precast step company. They load the steps onto a boom truck, drive them to your house or place of business and set them in place for you. To keep the precast stairs level, the installers will bolt a piece of angle iron to the house foundation and set the back of the stairs on the leveled angle iron to stabilize and level the stairs. Sometimes brackets will be bolted to the house foundation and the steps are hung from these brackets. This method insures neither the front or back of the steps will settle and move out of place. Other times the precast steps are just set on top of concrete pads under each corner. Rest the end of a straight board on the door threshold and bring it to a level position. Measure out from the house 42" for a standard platform and 12" per step (tread). 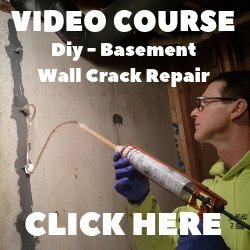 Measure the drop from the board to the ground or finished grade at that point. This measurement determines the size step you need. For example, if that measurement is 28 inches, you would need a 3 riser set of steps that equal 21 inches, then one step up into the house, another 7 inches. 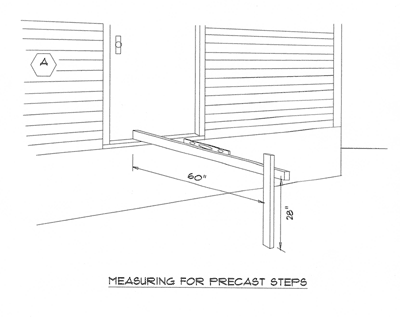 Most precast steps are left down one step from the door threshold. When an existing condition cannot be altered (such as a walkway) then a smaller step up into the house may be required. Choose the width that best suits your needs - if railings are required, keep in mind they take up about 4" on each side. The cost of precast concrete steps is well worth the investment. Precast steps are virtually flawless when compared to poured in place concrete steps. The color and detail of the finish product is very neat, clean and professionally done. After initially being sealed, maintenance is usually just pressure washing once a year.